Ahhhh, taking a deep breath, slowing down and savoring the light scent of a flower bed. 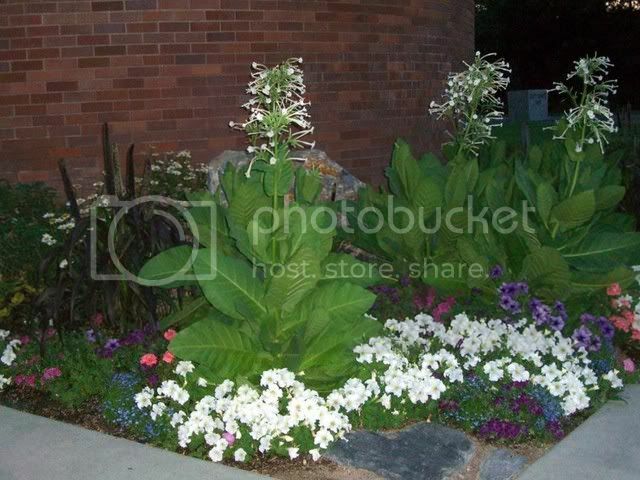 Here is one my daily delights, the flower bed at the entrance to the library. Whenever I walk by I am reminded that all of life is not a rush, that there is more to life than work, that life is beautiful. I just love this reminder that there is an abundance that fills my life. Simple joy. Simple pleasures and an appreciation of beauty. It's one thing I would like people to remember about me, that I did take notice and I did appreciate the little things. p.s. I'm also posting photos of me doing a Monsters in the House Laptime on my 'other' blog - yes, crazy me, getting wild and crazy with the kids. I love life!